It is necessary to persist with the synchronous development of “New Industrialization, Urbaniza-tion, Informatization, and Agricultural Modernization” (“New Four Modernizations”) for deeply promoting the structural reform at supply side, comprehensively implementing the innova-tion-driven development strategy, accelerating the continuous transformation of new and old dynamic energies, and putting forth effort to develop the real economy. From the Four Modernizations at the beginning of the foundation of new China, to an affluent society, the integration of industrialization and informatization (“Integration of Two Modernizations”), the synchronization of industrialization, urbanization and agricultural modernization (“Synchronization of Three Modernizations”), and synchronization of industrialization, urbanization, informatization and agricultural modernization (“Synchronization of Four Modernizations”), the historical process of policy evolution records the objective rule of China’s modernization construction, and concentrates the achievements and fruits of from theories to practices. This paper analyzes the policy evolution from Four Modernizations to synchronization of New Four Modernizations from the perspective of policy evolution, and constructs the innovation-driven strategy for the synchronous development of New Four Modernizations based on deeply understanding the basic current state of China’s economic development and analyzing the socialist market economy system. 李翠玲. 邓小平的小康社会思想研究[J]. 中国特色社会主义研究, 2001(4): 26-31. 程恩富. 论新常态下的五大发展理念[J]. 南京财经大学学报, 2016(1): 1-7+108. 陶长琪, 彭永樟. 经济集聚下技术创新强度对产业结构升级的空间效应分析[J]. 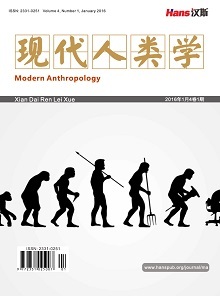 产业经济研究, 2017, 88(3): 91-103. 曲福田, 田光明. 城乡统筹与农村土地制度改革[J]. 管理世界, 2011(6): 34-46. 伍国勇. 基于现代多功能农业的工业化, 城镇化和农业现代化“三化”同步协调发展研究[J]. 农业现代化研究, 2011(7): 385-389. 王贝. 中国工业化, 城镇化和农业现代化关系实证研究[J]. 城市问题, 2011(9): 21-25. 徐大伟, 段姗姗, 刘春燕. “三化”同步发展的内在机制与互动关系研究—基于协同学和机制设计理论[J]. 农业经济问题, 2012(2): 8-13. 魏建. 四化同步与城镇化质量的提高[J]. 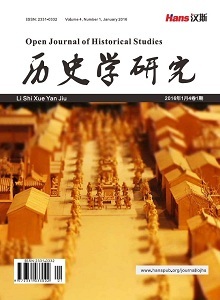 学术月刊, 2013(5): 90-96. 杨鹏, 等. 中国实现“四化同步”的挑战: 目标VS制度[J]. 农业经济问题, 2013(11): 87-96. 范从来, 杨继军. 论中国特色社会主义现代化进程中的“四化同步”发展战略[J]. 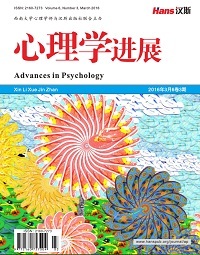 江海学刊, 2013(4): 77-83. 冯献, 李宁辉, 郭静利. “四化同步”背景下我国农业现代化建设的发展思路与对策建议[J]. 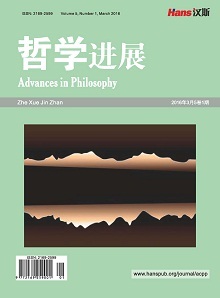 农业现代化研究, 2014(1): 11-14. 刘志彪. 从后发到先发: 关于实施创新驱动战略的理论思考[J]. 产业经济研究, 2011, 53(3): 1-7. 李二超, 韩洁. “四化同步”发展的内在机理, 战略途径与制度创新[J]. 改革, 2013(7): 152-159. 刘文耀, 蔡焘. “四化同步”的本质特征和指标构建[J]. 改革, 2014(8): 65-71.